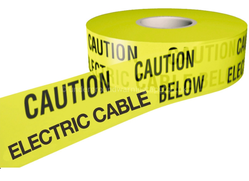 Warning Tapes are highly visible tape with specific elongation characteristics and black lettering, Warning Cables. It is placed in the ground above buried telephone cables and service wires to provide warning to excavators of the presence of buried telephone/ service cables. 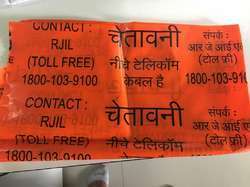 The warning tape has prints in English/Hindi or as required at approximately 1 mtr intervals. Available in Yellow/Red/Green base color and printed in black color. In rolls of required length. Standard Width from 25 MM to 500 MM. Standard Length from 400 meter to 5000 Meter ROll. Minimum Order Quantity 500 KG. We are a trustyworthy organization offering a wide a gamut of Reliance Jio Caution Tape. 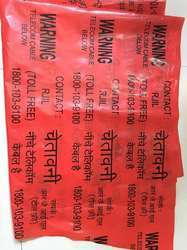 We are a trustyworthy organization offering a wide a gamut of Jio Underground Warning Tape. Used to aware for work under process. 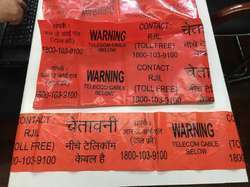 We are a trustyworthy organization offering a wide a gamut of Reliance Jio Warning Tape. We are a trustyworthy organization offering a wide a gamut of Rjil Warning Tape. We are a trustyworthy organization offering a wide a gamut of Reliance Warning Tape. 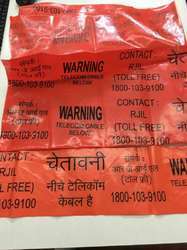 We are a trustyworthy organization offering a wide a gamut of Warning Tape (Jio). 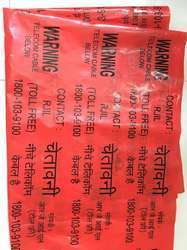 We are a trustyworthy organization offering a wide a gamut of Jio Warning Tape. We are a trustyworthy organization offering a wide a gamut of Printed Barrication Tape. 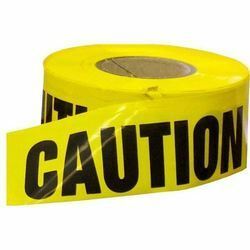 We are a trustyworthy organization offering a wide a gamut of Reliance Caution Tape. We are a trustyworthy organization offering a wide a gamut of Jio Barrication Tape. We are a trustyworthy organization offering a wide a gamut of Reliance Barrication Tape. 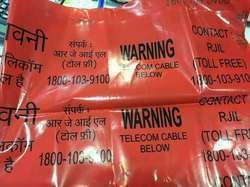 We are a trustyworthy organization offering a wide a gamut of Jio Caution Tape. We are a trustyworthy organization offering a wide a gamut of Underground Warning Tape. 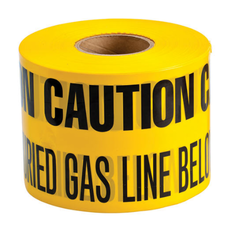 We offer Reliance Warning Tape. It is made of pure LDPE material good Strachability, Shing printing, Lightly Colour for Visible from Distance.